ATLANTA — A Presbyterian Church of America (PCA) teaching elder and church planter, who also heads a faith-based non-profit organization and is chairman of a youth-focused group run by a bishop in Atlanta, Georgia, recently promoted and partnered with a secular non-profit organization to present an NFC Fight Night. The unconventional fundraiser, held at a local brewery and complete with “Vegas-style casino games,” served as an effort to benefit groups working with inner city youth. 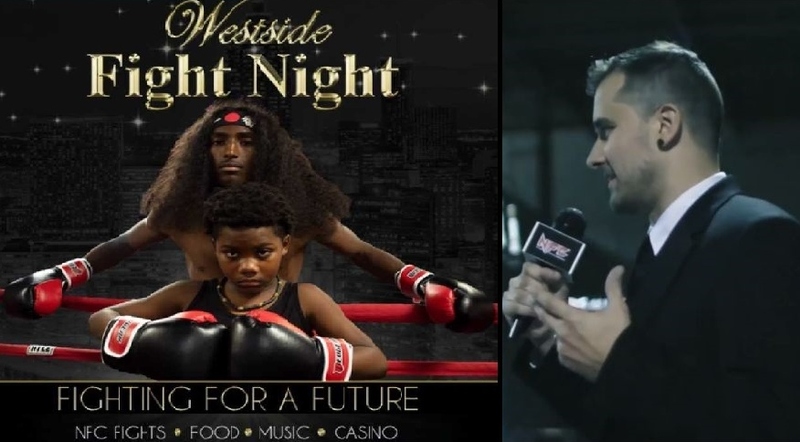 Westside Fight Night was held on Nov. 2 at Monday Night Brewing in Atlanta, and was presented by X3 Foundation and Next Generation Foundation, the second of which is chaired by Danny Iverson, who also founded Shalom City Church and is the CEO of the organization Restore Life. Ryan Denton of Christ in the Wild Ministries told Christian News Network that he disagrees with the concept of a church planter and faith-based non-profit leader promoting and participating in a Vegas-style fight night—no matter that it was a secular event. 2018 is the second year that Iverson is involved with the fundraiser. Iverson, who is a fifth generation church planter and received pastoral training at Reformed Theological Seminary, moved to Atlanta in 2013 to undergo a residency with Perimeter Church, and soon was sent to plant a church in the Grove City area on the northwest side of Atlanta, and to conduct holistic outreach in the community. “Over the last 13 years, Danny has specialized in reaching children, teens, gang members, drug addicts, and the homeless and marginalized of society, and recently has begun teaching and empowering other leaders in the Grove Park community through his experiences and expertise,” Iverson’s bio on the Restore Life website reads. Next Generation Foundation partnered with X3 to put present the fundraiser this year, as Iverson outlined in his newsletter, “We partner with X3 Foundation to put this high-end Vegas-style event on.” It further states that the event was held at Iverson’s brother’s brewery, Monday Night Brewing, and is the second year that Iverson has been involved with the fundraising effort. In 2017, the event was marked as being presented both by X3 and Restore Life, of which Iverson serves as CEO. “Here we go. Getting started for a great night. If you would like to give to help us reach our goal tonight, there are three ways,” Iverson posted on the day of the event. The X3 Foundation, which is a part of X3 Sports, says in its description that it “works to improve the health and social outcomes for youth living in struggling communities through the power of sports,” and that it provides “Atlanta’s at-risk youth with the athletic opportunities, support, and assistance they need to build productive futures for themselves.” It lists the NFC and The MMA Alliance among its partners. Photos from the event show Iverson on the red carpet, and he noted on Instagram that “I go on stage after [the] fourth fight” to speak to attendees. While distancing himself from the fundraiser when asked about the matter by deferring to X3 Sports, Iverson told Christian News Network that he believes X3 has helped a number of young people through their MMA offerings. Follow-up questions inquiring about Iverson’s level of involvement and his views about being a part of such an event were not responded to by press time. Westside Fight Night featured eight matches this year, including Jabril Malik vs. Melvin Molina, Nadeem Khattack vs. Jesse Miele, Mohammad Ibrahim vs. Kendall Hemmings and Jesus Diaz vs. Koyya Russell. A promotional video for the 2018 event shows footage from the 2017 fundraiser, complete with poker, beer, and the various fights—which included one competitor falling in the ring as he was knocked out by his opponent. Some attendees cheer on fights and/or record segments with their cell phones. 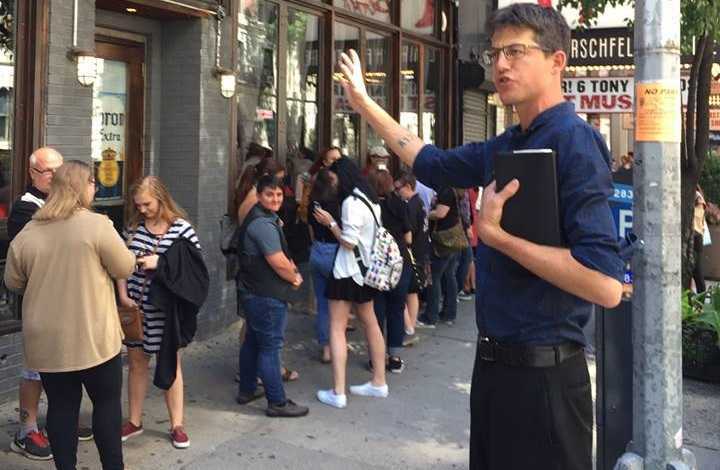 In October, Iverson told the outlet By Faith, the online news outlet of the Presbyterian Church in America, about his philosophy for his work in the community. “But when you start with the fact that everyone can be a blessing because they’re made in the image of God, that they have intrinsic value given to them by their Creator, it calls out the dignity we all share and opens up doors for honest conversations and deeper relationships,” Iverson stated. However, Ryan Denton of Christ in the Wild Ministries, who preaches at universities, abortion facilities and other locations nationwide, and who formerly served as a pastor in New Mexico, told Christian News Network that he disagrees with Iverson’s methodology for reaching the lost. “Iverson’s comments assume that just because someone knows they’re a sinner, they understand the direness of it. I agree it’s wrong to start with the Fall when it comes to sharing the gospel. But it’s even worse to start with man,” he said. He outlined that what is happening—whether or not it is realized—is the exaltation of the sinner, rather than the exaltation of a holy God, who commands all men to repent and believe. Christian News Network sought to reach out to Bob Cargo, the director of church planting for Perimeter Church, but multiple phone calls were not returned.